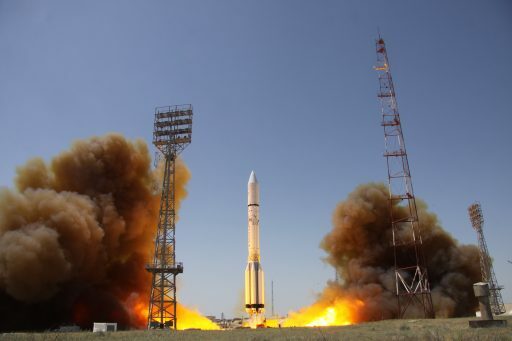 Thursday’s Proton-M launch with the Intelsat 31 communications satellite dodged a bullet when the second stage of the workhorse suffered an engine-related problem in the last seconds of its burn, creating a performance shortfall that remained without serious consequences for the satellite payload. 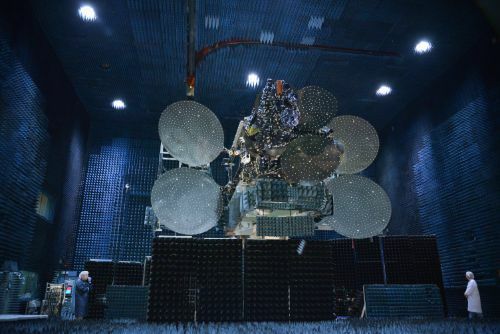 While Intelsat 31 continued trucking into orbit atop its Briz-M upper stage, information emerged that Proton’s ten-minute ascent mission earlier in the day was not without trouble. 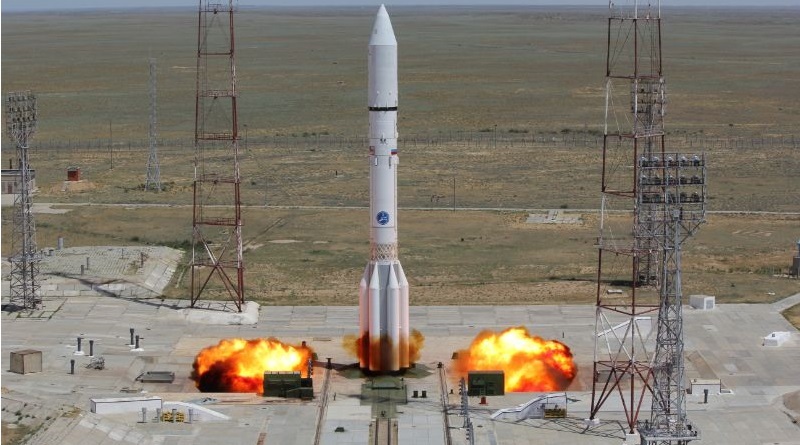 The 58-meter tall Proton rocket lifted off from Site 81/24 at the Baikonur Cosmodrome at 7:10 UTC, coming back from a one-day launch delay caused by a faulty electrical connector on the rocket that needed to be replaced. Thundering off powered by its six RD-275M engines, Proton took the standard route towards Geostationary Transfer Orbit, swinging to the north-east to head towards the Russian border. 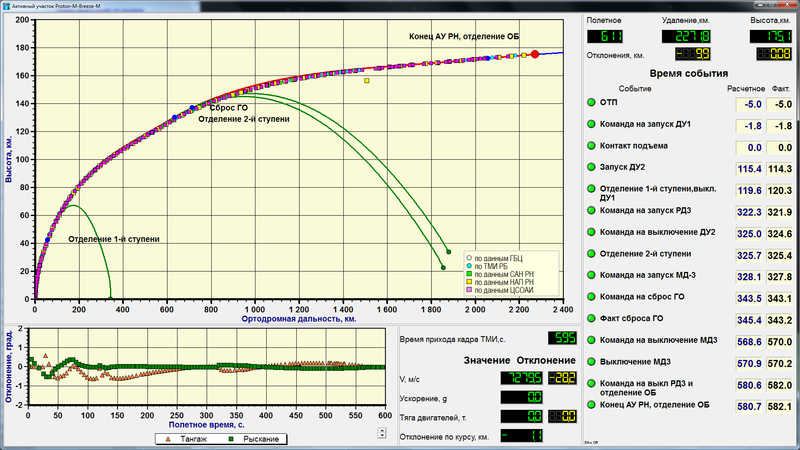 The flight seemed uneventful as the payload unit was separated into a sub-orbital trajectory nine minutes and 42 seconds after liftoff, however, a telemetry display published by Proton-builder Khrunichev showed that the vehicle was 28.2 meters per second short of its expected insertion velocity. In the last five years, no Proton mission showed this large a discrepancy at third stage shutdown with typical deviations only around 1m/s. Following separation, the Briz-M upper stage found itself in a situation where it had to adjust its flight profile to save the mission – an ability all modern upper stages possess. According to telemetry from the Briz-M upper stage, the S5.98 engine was ignited at T+11 minutes and 16.63 seconds on a burn that had a planned duration of 4 minutes and 18 seconds. 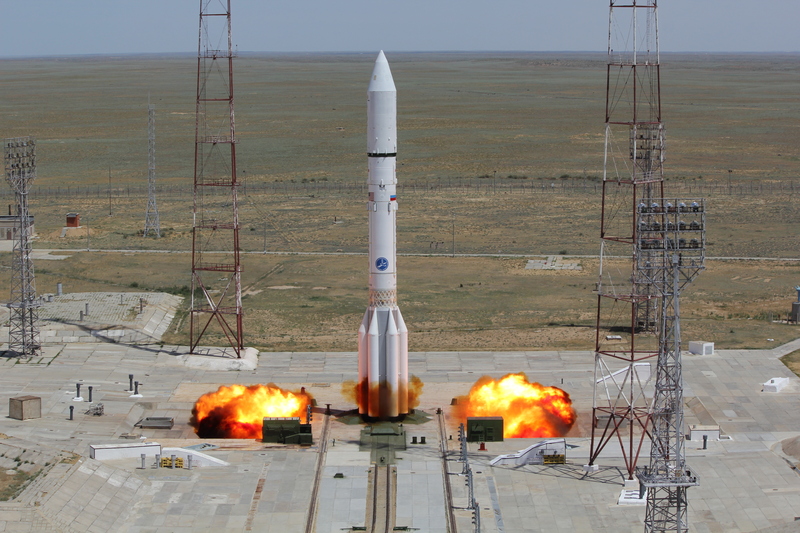 To make up for the performance shortfall on Proton, Briz-M extended the burn of its 2,000 Kilogram-force engine by 32.66 seconds to reach the planned 173-Kilometer parking orbit. 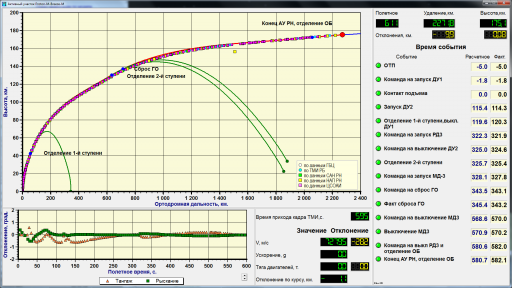 Telemetry provided by Khrunichev furthermore showed the calculated drop-zones of the first and second stage based on measured flight data. 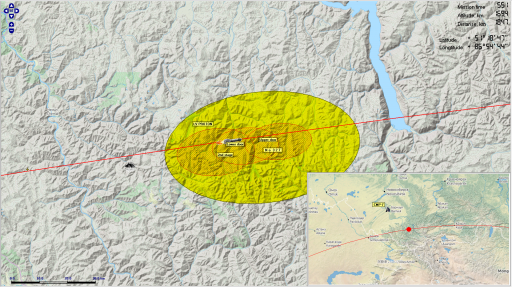 While the first stage was calculated to impact within the designated area, the impact point for Stage 2 was determined to be short of the usual drop-zone – suggesting the underperformance occurred during second stage flight. 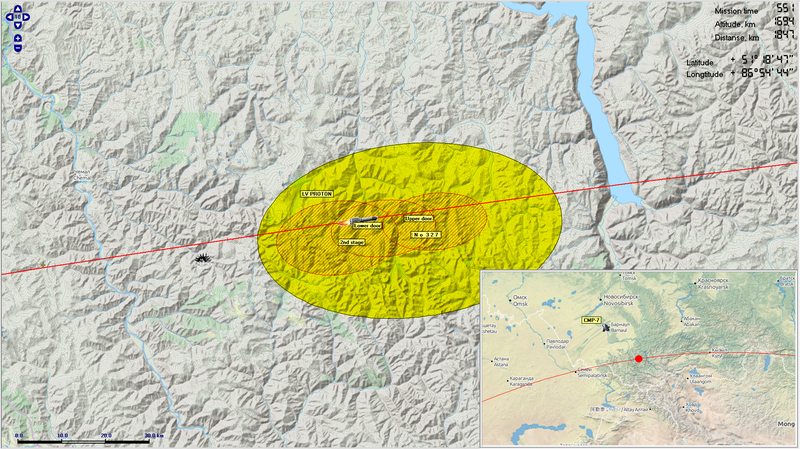 This is also supported by a prolonged delay in the live reporting of the launch. Calls from the launch bunker stopped around 320 seconds into the flight and the stage separation and third stage ignition events were confirmed with a delay of around 30 seconds. 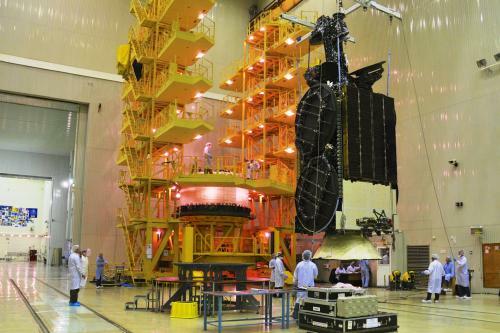 Roscosmos confirmed to the Interfax press agency that one of the four engines of the second stage shut down nine seconds before the scheduled time – explaining the performance shortfall and the silence during the live transmission. No information on possible causes of the early engine shutdown have been provided. With a 33-second extension of its first burn, Briz-M expended around 200 Kilograms of hypergolic propellants that were not in the budget for this mission. 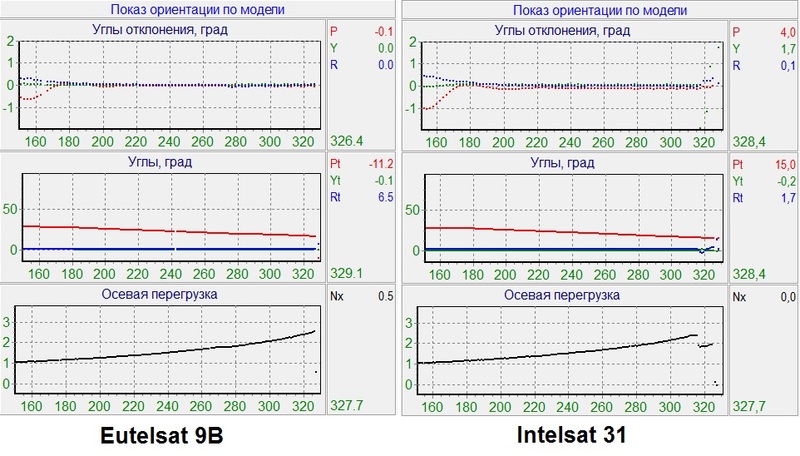 An additional factor to consider is that this mission used the Phase IV Performance Enhancement of the Proton rocket since the insertion of the Intelsat 31 satellite required the maximum possible performance from the vehicle. Luckily, Briz-M typically overperforms slightly on its burns, allowing its engine to shut down early and thus save propellants. This was the case on the second burn of the upper stage which reached its expected change in velocity 23 seconds ahead of schedule, already making up for two thirds of prop spent in the extension of the first burn. The second burn – 19 minutes and 23 seconds in duration – boosted the vehicle from its circular Parking Orbit into a planned elliptical orbit of 290 by 6,000 Kilometers, setting up for another orbit of coasting ahead of burns 3 & 4 that are conducted as a pair to lift the apogee altitude to 65,000 Kilometers with a total burn time of 18 minutes and 1 second. Burns 3 and 4 showed similar overperformance of the engine, giving Briz-M a sufficient propellant margin to complete the full duration of its fifth burn and insert the 6,450-Kilogram satellite into the expected Supersynchronous Transfer Orbit. The fifth Briz-M burn began at T+15 hours and 15 minutes and had a planned duration of 183.55 seconds. Briz-M ended up firing for 181 seconds, using its onboard navigation system to guide itself into the target orbit. 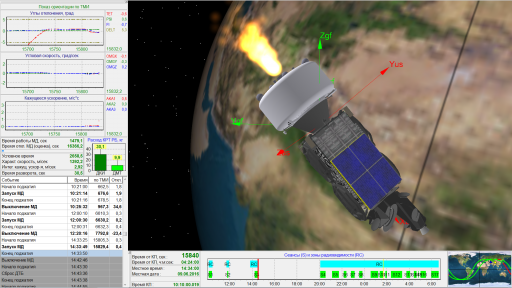 Although the fifth burn was the shortest of the mission it served a very important purpose – raising the orbit’s perigee and significantly decreasing the inclination from 50.5 to 29.6 degrees to reduce the amount of propellant required by the satellite for the transition into Geostationary Orbit. 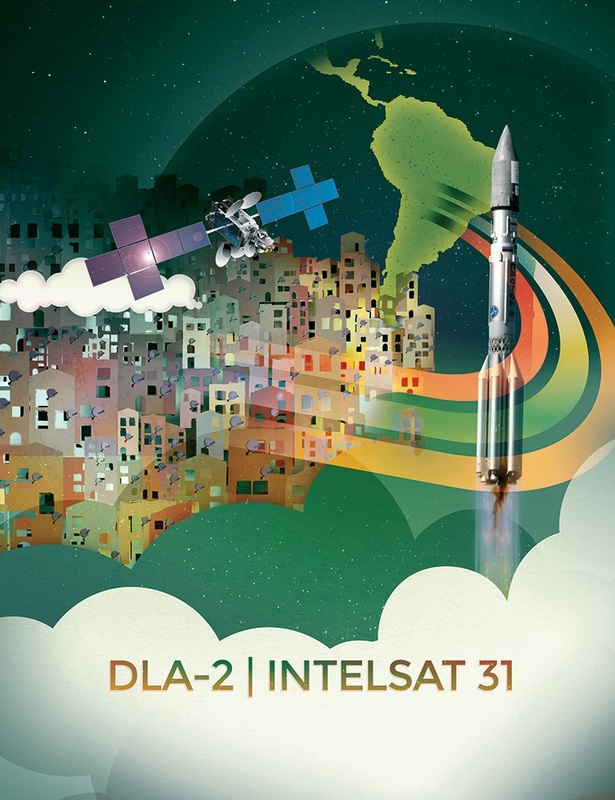 Intelsat 31 was aiming for an insertion orbit of 3,503 by 65,000 Kilometers with separation confirmed at 22:41 UTC on Thursday. Orbital elements for the satellite are expected in the overnight hours to confirm that Proton got away with another close call.